Little Miss Hailey for several days on a visit to Washington, D.C. had been asking her parents and grand-parents to see George Washington, and they tried to say, "Sweetie, George Washington is not around any more to meet with you." As she came onboard the Cherry Blossom, who did Miss Hailey meet but "George Washington", upon which she turned to her folks and said assuredly, "See, I told you so..."
... little Miss Hailey and her family went on the Cherry Blossom stern-wheeler riverboat from Alexandria up the Potomac River to be best positioned to watch the annual Independence Day fireworks. 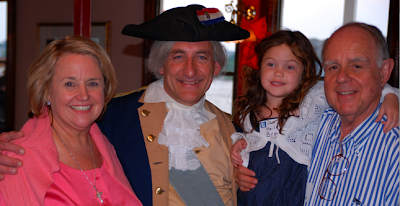 Turns out that GW and Miss Hailey are related, in that Miss Hailey is a descendant from another of Mary Ball Washington's children! 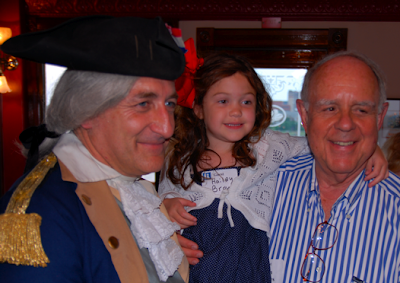 Here you see "Le Grand Trio" ~~ the "grand" Miss Hailey, "Bop" her Grand Pop, and Grand PaPa George (Washington), the "father of His country", and grandfather of His country, too! By the way, here "PaPa" is short for "Pater Patrae" or Latin for "father of the country". 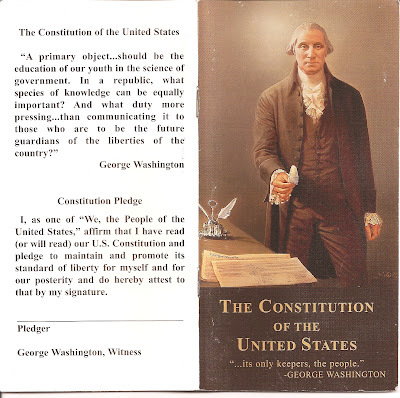 "George Washington" gave Miss Hailey a copy of "tHis Constitution for the United States of America" with a picture of George Washington reaching out with a quill pen to you to also sign this Constitution, and asked little Miss Hailey to read this Constitution and read it to others. 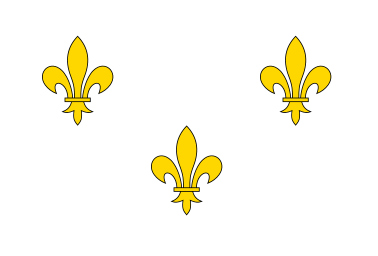 "Oh when the Saints go marchin' in, I want to be there in that number..." There were more French "Saints" who marched at Yorktown (over 25,000) than American "Saints" (about 9000) and more than those "sinners" the British under General Cornwallis (about 21,000). Yet also remember that the British Army reportedly played the tune "The World Turned Upside Down". How fitting because on 9 July a.d. 1776, General Washington gave the Order to His army, "The General hopes and trusts that every officer and man shall endeavor so to live and act as becomes a Christian soldier...". And then remember that in Acts 17:6 is written that the early Christians turned the world upside down. This band of early American Christian Soldiers turned the world upside down by defeating the mightiest Army on earth, the British Army! Before leaving the Cherry Blossom, Miss Hailey asked her Grand-folks, GrandPop "Bop" and "Granny Sue" also known as "GaGa" if she could stay with GW and live in the White House. 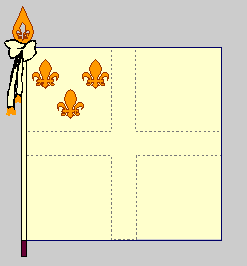 ...and Spain later captured New Orleans from the British! Our War for Independence was the "World War" of its time, and Washington was called by Thomas Paine, author of "Common Sense", as the "World's Apostle of Liberty" with parks and plazas, statues and streets, cities and counties named for Washington all across America and around the world. Minister James Monroe returned from Spain to became a member of the Continental Congress that received the Resignation of General Washington in Annapolis on 23 December a.d. 1783 when as victorious General he "wowed the world" by peacefully giving over power to the civilian government. That date should be honored along with the 17th of September, the 4th of July, and the 22nd of February! That December date with destiny, or date of Divine Providence, was the first time a military leader had peacefully relinquished power in over 2000 years, since before the birth of Jesus Christ, since the time of the Roman Republic (not the Roman Empire) and the Roman Generals Cato and Cincinnatus. Washington has been compared to Cato, and is called the "Cincinnatus of the West". In fact, there is a Fort Washington in Cincinnati, Ohio, a town named for George Washington. King George III at the time was amazed at the subjugation of ego in Washington and said that Washington was the greatest man of his time or perhaps all time. President Truman said his three favorite statesmen in world History were Cato, Cincinnatus, and Washington, and Truman was a wise man. By foregoing power, George Washington truly gave birth to our American Republic (NOT a "Democracy" that the wise Founding Fathers feared), and so is rightly called the "father of His country", where His refers to Jesus, not George! Later, James Monroe was elected Senator from Virginia, and of course became the Fifth President. The only race he lost was to little Jamey Madison for the First Congress. Monroe lost because little Jamey Madison got the support of Baptist pastor John Leland when he promised to work for a set of Amendments to this Constitution that became know as the Bill of Rights , and Jamey Madison was a true gentleman, true to his word and promise. Most Americans do not realize that one of the 12 amendments prepared by Jamey Madison was not Ratified at the time (15 December a.d. 1791) but finally was Ratified by the States on 7 May a.d. 1992 by the vote of Michigan, over 200 years later, so became the 27th Amendment! She said to tell George hello! ... the child does have the joy of the Lord. She loves Jesus! 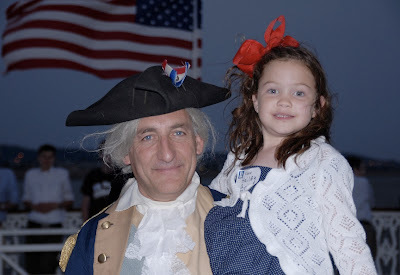 So in the Spirit of the Revolutionary James Monroe, who suffered injury at Trenton yet persevered to be elected Senator, and become one of America's greatest Presidents, upon entering Kindergarten at the end of this summer, Miss Hailey ran for -- and was elected -- as Senator from her class, and plans to run for President in due time... all at Godspeed! 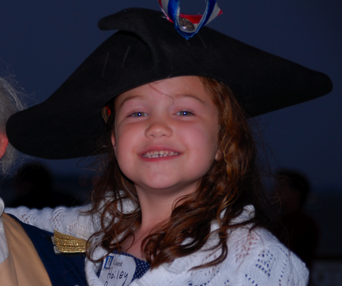 Labels: 4th of July, Fireworks, George Washington, Independence Day, Miss Hailey Links to this post 0 Your comments?